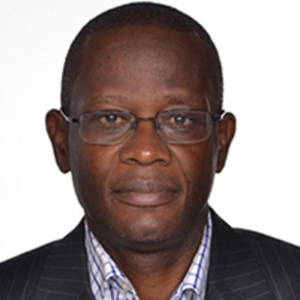 He has been instrument in the implementation of new antigens in the national immunizations programs in Kenya, Tanzania Ethiopia and Uganda, working with numerous stakeholders within the healthcare sector. He has also been key in the setting up and implementation of over 10 clinical studies within the region, for both Pharmaceutical and Vaccine studies recruiting patients across several countries and sites. As an industry leader Dr Mwatu has provided leadership to several industry associations’ across the region and contributed to the development of several guidelines and Regulations in the clinical research and Regulatory affairs Area., key among thes have the guidlene that regulatethe conduct of clinical trials in Kenya and Tanzania, in addition to new product registration guideline within the East African community. Dr William Mwatu has also served in several key committees, including the Steering committee for the African Medicines Regulatory Project that is looking at harmonization of Regulatory requirement within the East African Community and Africa, Served as a member of the National Bioethics committee in Key, Served as a member of the Pharmacy and Poisons Board in Kenya, in addition to serving at specific committees to develop the Marketing and promotion code for Kenya, Parallel importation guidelines amongst many other within the region.